The challenge has paid off for Apple FCU. Since Batista joined the credit union in 2003, its assets have grown from $650 million to more than $2 billion. Technology was a key part of the strategic mission that drove this growth. 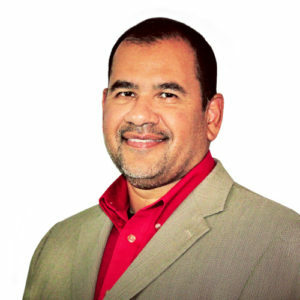 Batista’s first goal upon joining Apple FCU was to transition the company from the Novel computer network to Microsoft and to integrate the Microsoft Exchange email system. Novel was a basic file-sharing system in which users accessed files that were stored on shared folders. Converting the network to Microsoft and introducing email increased collaboration by adding functions such as attachments and networked printing. Symitar’s benefits went beyond any one function. It integrated better with outside vendors, increased automation, and offered more third-party modules, such as a customer relationship management solution that allowed Apple FCU to track customer interactions and improve customer service. But the most transformational aspect of the conversion was the ability to modify the system’s code. “In the past, you had a system that would do core basic functions, but that was it,” Batista says. With the AS400, the vendor alone could modify code, and they wouldn’t make changes to satisfy a small subset of customers. Symitar delivered those same basic functions and also allows users to alter the code to suit their needs. Symitar improved Apple FCU’s capabilities, but another new feature on the market at competing institutions was the ability to upload an image of a check and deposit it digitally. Because of delays with its online banking vendor, the credit union released the feature eighteen months after its competitors. At this point, Apple FCU’s leadership realized they needed to increase control over their online banking system. The only way to take control of the channel was to bring it in-house. They chose a product that was developed by Wescom Resource Group, a subsidiary of the credit union Wescom, and made the switch in November 2016. Wescom’s system integrates with Symitar, and, as with Symitar, Apple FCU’s programming team can implement new features and customize the code. “We now have the ability to develop our own roadmap and program our system with the members’ needs in mind,” Batista says.